These two proposals for a private developer demonstrate two very different way of developing unique residential schemes in suburban settings. 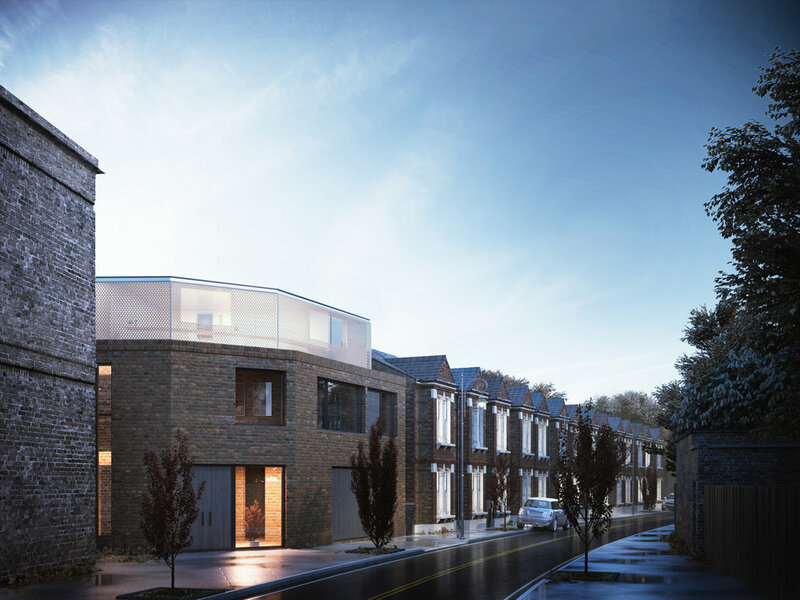 Our first scheme breaks with the traditions of a typically period terraced street, however the design is careful to respect massing, proportions and materials. The second scheme recognises that some developments need to respect the surrounding buildings more than others. We were able to prove that a semi-detached property could successfully be developed on this infill piece of land without standing out as an unwanted addition to the street.